Thanks for your interest in advertising on Broke2dope.com! 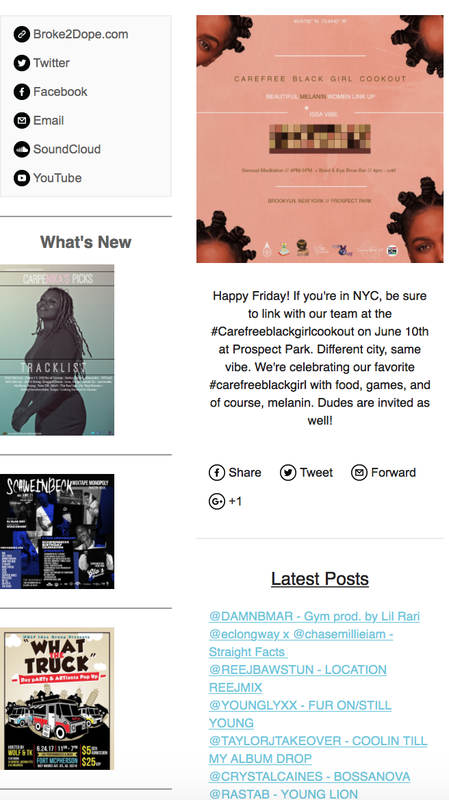 Below, you will find information on the pricing of our ad spaces available via Broke2dope.com and our weekly newsletter. In addition, we offer personalized marketing campaigns for artists and brands including social media promotion and public relations in an effort to provide brand exposure.